Do you have tiny white bumps around the eyes? Then you may have milia. In this article, learn what causes milia & also know its prevention method. Under Eye Milia – What are Those White Bumps Anyway? It can be said that you have milia when you find small hard, beady bumps around your face, particularly around the eyes. These are also known as “milk spots”, and are called such because they are little white cysts that for right under the epidermis. Milia are usually seen in babies, but it can also appear in the skin of adults. To the untrained eye, milia might appear to be a stubborn whitehead. However, please take note that these two things are different. Likewise, the treatment for whiteheads and milia are different when it comes to milia, it is better to consult a dermatologist. What Causes Milia Under Eyes? The formation of milia around the eyes is usually attributed to the build-up of dead skin cells, which then forms into keratin cysts that clog up the pores. Milia are common among babies (primary milia). Doctors recommend to leave it alone as it will go away within a few weeks. Secondary milia, which usually appear in adults usually occurs as a consequence of burns and blisters. This and the use of heavy makeup on a regular basis clog up pores and prevent skin renewal, which then results in the formation of milia. It has been said that milia get worse because of sun exposure. A habit like not wearing sunscreen, not avoiding the sun, not wearing any protective gear to shield the skin from sun’s rays these aggravate the milia. Not only will it make the milia tougher to get rid of, it will also increase the likelihood of it coming back. How to Remove Milia Under the Eyes? Under eye, milia can be quite easy to remove and can be done at home as long as you follow a few basic steps. This procedure is quite (if not exactly) similar to the steps you take in giving yourself an at-home facial. You first have to cleanse and exfoliate the skin. Then, steam your face for a few minutes so that the pores can open up. Take a tool such as a comedone extractor, place it on the milia then gently push down. Some milia are easier to remove than others and will be squeezed out with just a little pressure. Some milia, especially those that have been in your skin for a while, may need more invasive methods. If you have a sterilized needle, you can take that, lightly prick the milia then extract it using the comedone extractor. A lot of dermatologists and skin specialists have been trained to do that too. Some dermatologists, when it comes to milia around the eyes, opt for cryotherapy. This is a treatment in which the milia are frozen and then extracted. A word of caution though: if you’re not sure how to do it, please go to your dermatologist or skin specialist to have them removed. Milia around the eye area can be tricky to deal with as it is a delicate area, so you want to be very careful in dealing with this issue. There are several, anti-wrinkle creams available on the market. Plexaderm reviews can come under the choicest anti-wrinkle creams you can relate those reviews to make an appropriate decision. How Long does it Take for it to Go Away? Milia in children naturally go away within a few weeks. For adults, it can take longer. The milia normally go away on their own, but there will be a few that are quite stubborn. This then requires a trip to a dermatologist to have them removed. Can I Use Any Foundation/Concealer Under My Eyes If Having Milia? A lot of women who have milia try to cover it up by using full coverage foundation and concealer. This type of makeup base combination does well when it comes to evening out the skin tone. This helps cover some milia, but most of the time, because these little bumps are so white and protrude, makeup does little to help the situation. In addition, using makeup to cover up the milia might contribute to the prolonged stay of these blemishes. As previously mentioned, the use of heavy and full coverage makeup disrupts the natural process of skin renewal and also clogs the pores. 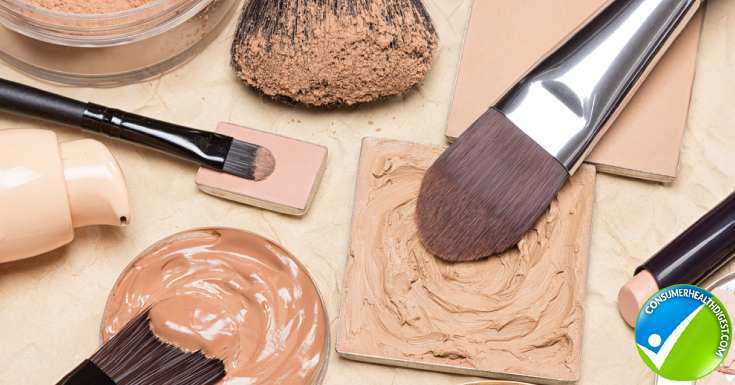 Putting on concealer and foundation is but a temporary solution to a skin condition that might go on for much longer than it should if you insist on putting it on. How to Prevent Milia Under the Eyes? The first, and most important thing is to make sure to keep your skin clean. Cleanse, tone and moisturize twice a day and exfoliate your skin to make sure that the dead skin cells don’t clog up your skin. Since some are more prone to getting milia due to genetics, then just make sure that you take regular trips to the skin doctor to have them treated. There are many products in the market that promise to help you get rid of from wrinkles and aging quickly. You should also consider taking some supplements that are known to improve the quality of the skin Vitamin E, Vitamin B3 (niacin) and B-complex. This way, even if your skin is prone to getting milia, taking supplements can make the occurrence less frequent.